Hello! So, by sheer coincidence my FFF challenge and OMCZ challenge for this week were both pastels, and as you might have read at the weekend pastels are most definitely outside my comfort zone. As I have really exhausted the only piece of pastel clothing I had for the FFF challenge I decided to use accessories to meet this challenge. 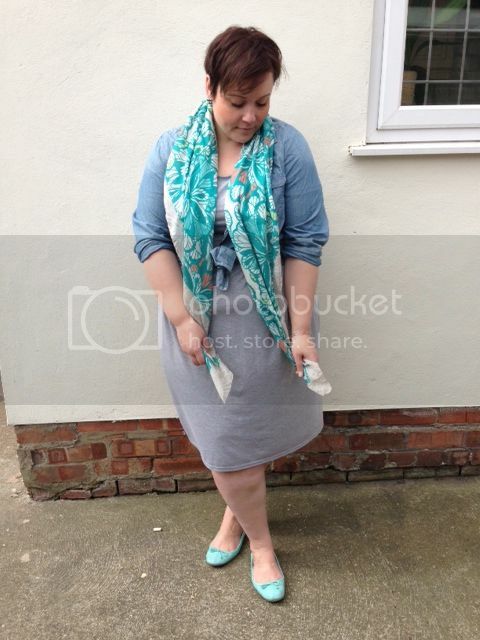 The mint green pumps and light coral tones in the scarf are really the only pastel bits I own, and I think realistically for me are the only way I can incorporate them into my wardrobe. I just feel way too girly in them! Who knows maybe one day I'll go full on pastel pretty, but not quite ready yet! 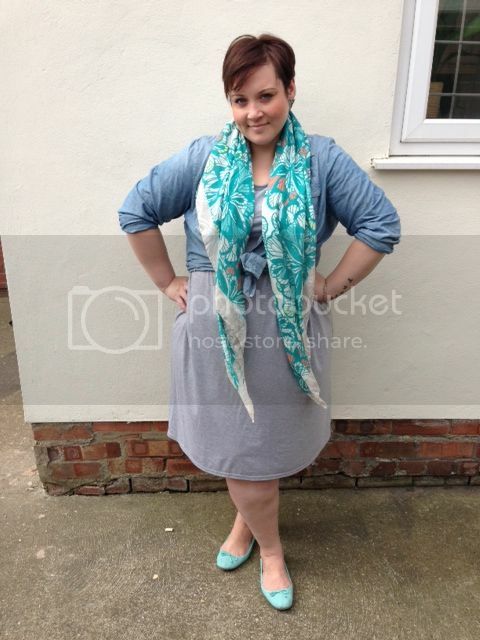 I do love your scarf and pumps though! So pretty! Accessories make an outfit, in my opinion! I'm not ready to embrace the full on "pretty pastels" either (at least with candy colors). I like mine in small doses.